biology 101, biology and behavior, biology matters, different peoples is different (duh! ), europe, europeans, income per capita, iq, PISA, spain, spanish folks, what's this hbd business all about anyway? african americans, anglo-irish, different peoples is different (duh! ), europe, europeans, greeks, iq, irish, irish-americans, italians (gotta luv 'em! ), mexicans, PISA, ron unz, scots-irish, what's this hbd business all about anyway? i hate taking time out from my usual routine of thinking/reading/writing about all-things-altruistic, especially when it means thinking/reading/writing about iq, ’cause 1) i’m far, far from being any sort of expert on iq, and 2) i’m not really interested in the topic (although i know, i know — iq is interested in me!) — but ron unz’s latest on iq (which i’m sure you’ve all heard about if you haven’t actually read) has forced me, ever so unwillingly, out of my comfort zone. plenty of folks smarter than me have already pointed out some of the ways that unz has got his thesis wrong — the thesis being that mexicans will catch up iq-wise to european-americans any day now just like previous immigrant groups to the u.s. did — but i’m going to add a couple of more to the innerwebs anyway. – who are these irish-americans unz is talking about? a lot of “self-identified” irish-americans that i have met are, in fact, scots-irish folks (not that there’s anything wrong with that!). 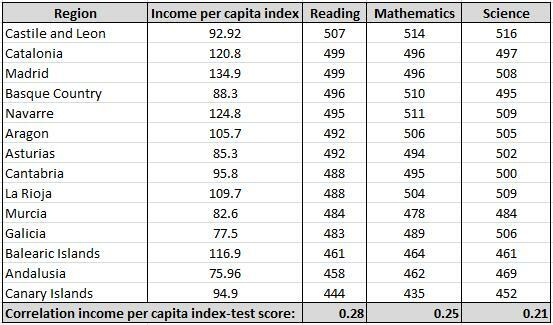 scots-irish people are a whole other kettle of fish than the native irish, and they’re not really found in the republic of ireland where, as i’ll talk about below, the modern pisa scores for “the irish” come from. rather, the scots-irish are found in ulster which is part of the u.k. so you’d have to weed out those irish-americans who are scots-irish and not native irish in order to compare irish-american iq scores with irish iq scores. you’d also have to weed out anglo-irish scores from both irish-americans and the irish back in ireland ’cause they, too, are a whole other kettle of fish, and an awful lot of them have been quite clever so they might inflate either the irish-american or the irish iq scores if there were too many of them included in one of those groups. – who emigrated from europe? so unz doesn’t think that, perhaps, smarter individuals may have emigrated from europe leaving dullards behind, something which could account, for example, for the very low irish iq score of 87 from the 1970s. he thinks it more likely that it was “often the poorer and most miserable” — and presumably, therefore, those with the lowest iqs — that emigrated. so it was not those with the least resources who immigrated to the u.s. — nor was it the “smartest small slice of their generation” either. the wealthy and, therefore, likely smartest people would probably have had little reason to leave their native countries. no. nineteenth century european immigrants to the united states were people who could afford passage to the new world — people with some resources — but also people with a reason to leave. in other words, most likely people with average-ish iqs. not on the top, but not on the bottom either. iq scores started going up in ireland from the 1970s onwards not (just) because living standards improved (although better nutrition has probably helped), but because smarter irish folks chose to remain in the country (especially since the nation joined the e.u. which created more economic/job opportunities). the irish iq score of 87 from the 1970s most likely reflects the fact that a vast majority of the average-to-bright irish individuals had left the country between roughly 1840 and 1960. the increase since the 1970s probably does have to do with some sort of regression to the mean (whatever it is). but it’s not obvious that this increase should give anyone hope that the same thing will happen in the mexican population since, afaik, they haven’t experienced the same sort of brain drain that ireland did. – who’s taking these pisa tests? i wondered over @evoandproud about which irish kids in ireland have been taking the pisa tests. i was concerned that perhaps the pisa tests were mostly conducted in and around dublin which would bias the sample (i.e. include more anglo-irish and smarter folks who had moved to the city), but i’ve read (quickly) through the 2009 pisa report for ireland [opens pdf] and the samples seem to have been drawn from around the country, so … never mind! however … there does seem to have been a slight bias in the selection of participating schools which may have resulted in an inflation (perhaps only slight, i dunno) of the 2009 irish pisa scores. so, 28% of high-school age kids in ireland attend vocational schools — you know, where you can learn a trade — but the kids at these schools only made up 23% of the pisa test takers. the missing 5% seems to be over in the voluntary secondary schools which are privately owned. somehow i imagine that more well-to-do parents in ireland prolly try to get their kids into such private schools rather than vocational schools. i smell a bit of a bias in the irish pisa scores. maybe they wouldn’t be quite as high as they are without this bias. dunno for sure. just a thought. indeed, the overall 2009 pisa scores for france, britain and ireland were (respectively): 496, 494, 496. so, yeah, the irish are just as smart nowadays as the french and the british, right? not necessarily. today’s “french” population includes ca. 19% (11.8M) foreign born immigrants or their direct descendants, about one-third (4M) of whom are from north africa. and the u.k. had 7.86% minorities as of the 2001 census (and it’s well known that those rates have gone up since then). ireland just had ca. half that as of 2011. in other words, we’re just not comparing apples with apples here. 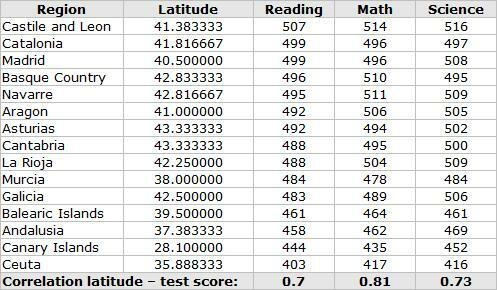 it’s very possible that the average pisa/iq scores of ethnic french or british kids are higher than their current national scores and, therefore, higher than the pisa score for ireland. so, the more immigrants ireland got, the lower their pisa scores became. terrific. – what about new mexicans? plenty of other people have pointed this out in comments elsewhere, but what about the success rates — or lack of — of the mexicans that have been in new mexico for several generations now? steve sailer has repeatedly written about this (see here and here for example), and the awesome epigone found that new mexico ranks 49th as far as average state iqs go (just in front of mississippi and washington d.c.). why haven’t the mexicans in new mexico caught up with european-americans given they’ve been here for several generations now? – what about african americans? african americans apparently haven’t caught up with european-americans iq-wise either even after a couple hundred years. why not? and given those last two points, why would ron unz conclude that the average iq of mexicans in america will increase to match those of european-americans? even if that did happen with the southern italians, greeks and irish, which is by no means certain, we already have examples of that not happening with mexicans (and african americans) so … well, i dunno … i don’t know what he’s thinking. i’m not a “hard hereditarian.” environment matters. nutrition matters. neglecting kids when their brains are developing seems to matter. the flynn effect is a real phenomenon. h*ll, evolution happens! — so a population’s average intelligence is hardly written in stone for eveh. but different populations are different because we’ve had different evolutionary histories. differences that prolly won’t be overcome overnight — or even in a generation or two, no matter how much ron unz (or i) would wish that to be possible. and it seems very cavalier to me to risk an entire society on the basis of a wish. and don’t forget: iq isn’t the only thing to consider when thinking about the immigration of masses of people. tomorrow … back to the regularly scheduled programming. footnote: pardon me for indulging for a sec in one of those annoying innate behaviors that women (apparently) possess: shaming. unnecessary and uncalled for. the points of the discussion — the evidence — will stand or fall on merit. there is no need for argumentum ad hominem. i took a look at vol ii, “Overcoming Social Background: Equity in Learning Opportunities and Outcomes” [.pdf file], which, amongst other things, examines how immigrants in various countries did on the PISA tests. “The relative performance of students with an immigrant background cannot be attributed solely to their country of origin. Figures II.4.11 and II.4.12 show the performance of students with an immigrant background from the OECD and other countries across a number of host countries, before and after accounting for the socio-economic background of the students or the host country. These figures highlight how performance varies for students with the same country of origin across different host countries. They also show how students from different countries of origin fare within the same host country. “Figure II.4.11 shows, for example, that students with an immigrant background from Turkey perform 69 points lower in Austria than in the Netherlands, even after accounting for their socio-economic status. In Luxembourg, students with an immigrant background from Portugal perform 65 score points below students with an immigrant background from France, after accounting for their own socio-economic status. Students with an immigrant background from Germany perform 44 score points higher in Switzerland than in Luxembourg, while students with an immigrant background from Portugal in Switzerland outperform students with a similar background in Luxembourg by 65 score points (Table II.4.5). so. what does this tell us, besides the fact that the writers of this report must be mentally retarded? it tells us diddly-squat. zip. zilch. nada. it’s just a waste of paper binary code. 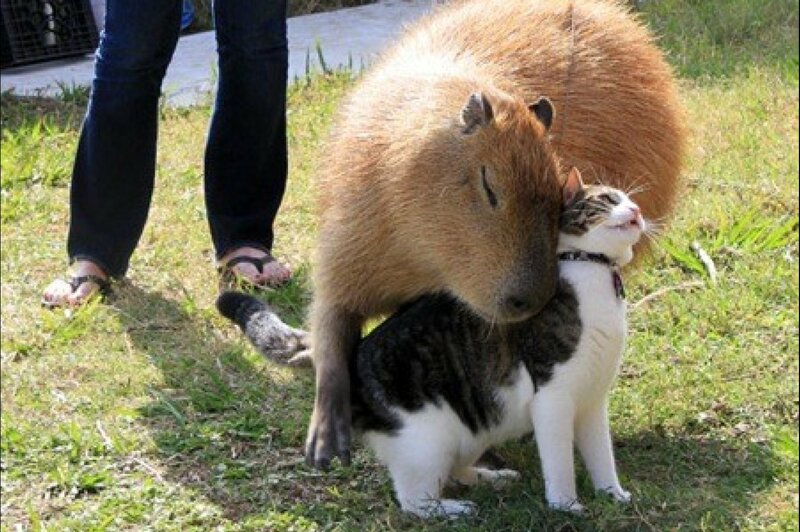 because different peoples is different (duh!). take their example about turks. they said: “students with an immigrant background from Turkey perform 69 points lower in Austria than in the Netherlands, even after accounting for their socio-economic status.” right there they’re assuming that everyone from turkey is the same. have they ever been to turkey? (i have to guess not.) there’s a big, BIG difference between the people in hellenized western turkey versus central turkey versus eastern turkey which is full of kurds. why — WHY — would the PISA people assume that all these people would do equally well in school ANYwhere? i betcha they don’t do equally well in school back in turkey. i dunno what the differences are between these different “turks”, but i betcha a brewski that there are some! sounds interesting, but when they say “students with an immigrant background from Portugal,” they mean ANYbody from portugal! from ethnic portugese to brazilians! *facepalm* again, “students with an immigrant background from Germany” might mean anyone from an ethnic german to an ethnic turk or kurd to an ethnic iraqi. all of this reminds me of this hysterical story about a new yorker swpl woman who was horrified when her toddler called a black man (laurence fishburne, actually) “doggie” out in public. this woman was distraught thinking that her child was (*gasp*) a racist, when really all he was was a kid who didn’t have a word for “black man” or “african american male” or whatever (probably because he’d never been taught those words) and he was struggling for a word to express the fact that he was looking at someone who looked different than himself and his family (i.e. not white). from the mouths of babes, eh? what’s really sad is when you think about all the pc-thinking people around the world today (like the PISA people) performing linguistic and mental gymnastics in order to not be “racist” when even little kids can see there are differences between different peoples. and, even worse, the absolute confusion they (including/especially journalists) are causing with their word games (eg. is this man really swedish? i bet not! ).